Save up to 70% off on Lift tickets and even free lift tickets at resorts. Join now and save with discounts, coupons, savings, deals and insider news at ski, snowboard and mountain resorts in the mountains of North America and beyond. 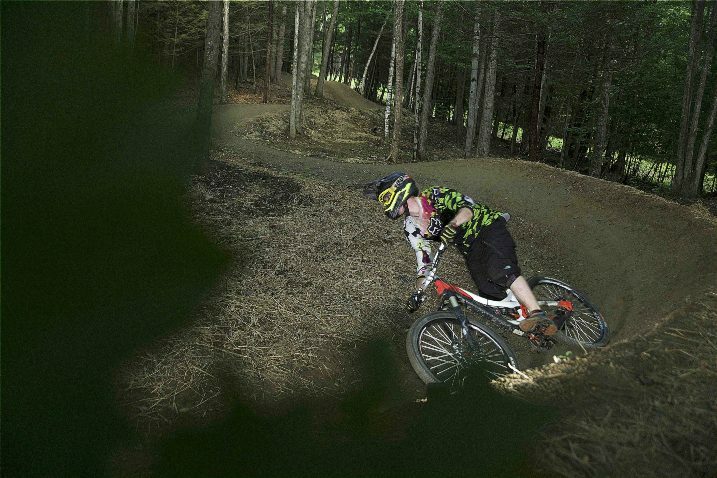 Thunder Mountain Bike Park at Berkshire East, in the Berkshires of Western Massachusetts will once again extend BOGO bike park discounts to premium Mountain Sports Club members for the 2019 season. Additional discounts are also available for the Zip Line Tours and the Aerial Adventure Park. Thunder Mountain Bike Park is an award winning bike park and year rounds activity hub for mountain sports enthusiasts and adventurers. Get out and enjoy the mountain(s) and save year round at over 80 Resorts/areas across North America, with a premium Mountain Sports Club membership. Spring special join now for only $5.95 when using promo code spring19. 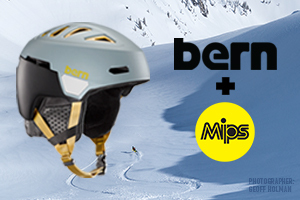 We are pleased to welcome Bern Helmets as our newest supplier sponsor for the coming year. A leader in helmets for years we are excited to announce this new partnership. Members will now save 20% off any purchases. Bern Helmets, has a full lineup of snow, bike, skate and water sports helmets and accessories to keep you safe while staying out there. Use promotion code Mountainsportsclub when checking out to apply the discount and save 20% on your Bern Helmet purchases. What had been speculated has been confirmed that Arapahoe Basin is dropping out of the Vail Resort's Epic Pass for the coming 2019.20 winter season. The increased volume of Epic Pass sales has created parking and service issues at the venerable Colorado area. Epic Passes will be honored the balance of this season and no new partnerships have been announced. Stay tuned as the pass lineups are starting to unfold. Recently Vail Resorts announced the including of Sun Valley in Idaho and Snow Basin in Utah as new additions. In the Northeast the rumour mill has Smuggler's Notch in Vermont as the next Vail acquisition. Time will tell but we know for certain pass sales for next year are starting and will keep rolling out as we approach Spring. Will Smugglers' Notch be an Epic mountain for 2019.20? The recent Outdoor Retailer/ SIA Snow show showed again the growing category of heated clothing as more players emerge in the field. Gobi Heat is one of the new vendors that really caught our eye with attractive design and look. As technology evolves look for more and more options to make sure you stay warm in the cold and wet elements of winter. Gobi Heat is the leader in Battery Heated Jackets, Hoodies, Gloves, and Pants. The heated apparel industry is booming and this product line up is truly red hot. Honeymoon with your boots over? Head to one of America's Best Bootfitters to revive that relationship! Just because it is a ski boot does not mean it should not be comfortable. Let one of our expert boot fitters help you out! Some look at a ski boot as a plastic torture device. We see them as highly crafted and customized art pieces. No two feet are alike. Your ski boots should be as unique as your feet. Visit one of America’s Best Bootfitters and let us match your boots to your feet for the ultimate in comfort and performance. Boot fit nightmare? Let one of America's Best Bootfitters give your feet some sweet dreams. 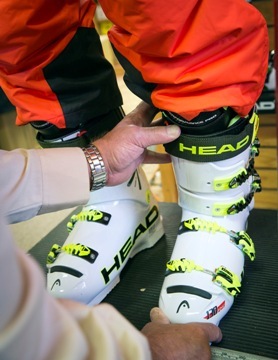 Improve the fit and performance of your ski boots. 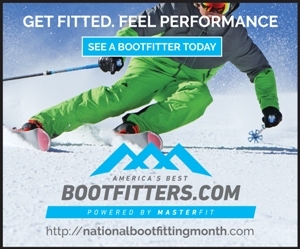 Visit one of America's Best Bootfitters today. Take the performance of your ski boots to the next level. Visit a boot fitter today. America's Best Bootfitters. What do you do when your boot don't fit? Some skiers just grin and bear it but there are specialists that can help you solve your fit and performance issues. Improved performance. Being properly fit and aligned will add new life to your skiing with no lessons in sight. Improved comfort. Because who does not dream of a better fit? Custom fit. Your boots should be as unique as your feet. Improved warmth. A properly fit ski boot is one more step to take towards that nirvana of toasty toes. With the holiday rush over, February is the perfect month to head to your nearest Bootfitting pro. You have probably had your skis tuned and waxed, now go get your boots dialed in. Head over to your closest America's Best Bootfitters shop today and spend the rest of your season with happier feet! 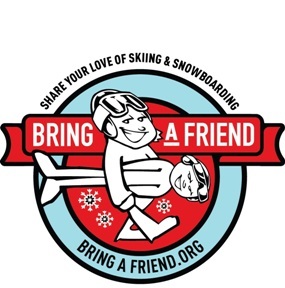 As a program sponsor for the snowsports industry's two initiatives to grow participation, Learn to Ski and Snowboard Month and the Bring a Friend Challenge, Mountain Sports Club is pleased to offer the Beginner’s Guide to Snowboarding and the Beginner’s Guide to Skiing. This is a free YouTube video series that shows new skiers and riders what to expect on their first day. You can these videos to share tips and tricks with your students to help them get started so they can focus on the most important part of skiing and riding when they hit the slopes: having fun! Two members of the PSIA-AASI National Team cover skills such as how put on gear, get up after a fall, and stop. We welcome readers/members and subscribers to link to these videos or share these videos on your social media channels to share and help get more people started and to encourage participation in skiing and snowboarding. Mountain Sports Club welcomes the Limelight Hotels as our newest lodging partner. 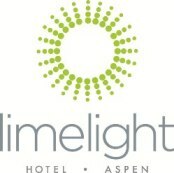 Members now save on lodging and packages at The Limelight Hotels in Aspen, Snowmass and Sun Valley. The Limelight Hotel is a 126-room property nestled in the heart of downtown, Aspen, Colo. just steps away from world-class mountain activities and adventure. The Hotel is known for its contemporary décor, relaxed atmosphere and friendly staff. Top amenities include an expanded continental breakfast, free in-town transportation, adventure concierge, complimentary activities for guests, outdoor pool and hot tubs, vibrant lounge and happy hour and pet-friendly rooms. Save on lodging and packages. The Limelight Hotel Ketchum features 99 hotel rooms, 14 for-sale condominiums with 12 lock-off units, plus a restaurant and lobby lounge. Modeled after the company’s existing property in Aspen, Colo., the hotel is in close proximity to downtown shops and restaurants as well as Sun Valley’s River Run Base area. The hotel property remains consistent with the Limelight brand featuring amenities and extras such as an expanded continental breakfast, happy hour deals in the Lounge, adventure activities for guests as well as pet-friendly rooms. Save on lodging and packages up to 30%. The new Limelight Snowmass hotel opened December 2018, and features 99 hotel rooms and 11 for-sale condominiums, plus a new restaurant, a children’s game area as well as a five-story climbing wall that is open to the public and the tallest of its kind in the state. Modeled after the company’s existing properties in Aspen, Colo. and Ketchum, Idaho, the hotel is located adjacent to Snowmass Mountain’s Elk Camp Gondola providing ski-in/ski-out access. The new hotel property remains consistent with the Limelight brand featuring amenities and extras such as an expanded continental breakfast, après ski deals in the Lounge, live music, adventure activities such as First Tracks and Inside Tracks, a ski concierge as well as pet-friendly rooms. Save on lodging and packages. Skiers, snowboarders, bike park enthusiasts enjoy savings with BOGO/2 for 1 lift tickets, free lift tickets, bike park tickets, zip lines and more discounts for premium members at areas/resorts throughout North America. 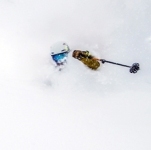 Deep and daily lift ticket discounts and offers all year. We update and add new offers all season and year round. Below are advance purchase options and premium coupons savings that are currently available for 2018/19. Check back often for new resorts and updated offers all year on lift tickets, lift serviced mountain biking, zip lines, rafting, adventures and more. Register today, join and upgrade to the premium membership, and lock in big savings. New Year promotion underway, premium memberships now only $9.95 and valid one year, includes the 2018.19 winter season!Use promo code 2019 and save at over 70 resorts/areas. Once you are a premium member you simply log in and print your savings coupons/vouchers to redeem at the resort or merchant. Alyeska Resort- Members Saved daily on advance purchase of lift tickets during last season look for new offers to be updated. Alpine Meadows, CA - Members Save daily on advance purchase of lift tickets for winter 2018.19. Bear Mountain, CA - Members Save daily on advance purchase of lift tickets for the 2018.19 winter season. Bear Valley -Members Save daily on advance purchase of lift tickets for winter 2018.19. June Mountain - Members Save daily on advance purchase of lift tickets during the 2018.19 season, buy now and save. Mammoth Mountain - Save with big discounts on advance purchase of lift tickets during 2018.19 season now on sale. Buy in advance and save up to 50%. Sierra at Tahoe - Members Save daily on advance purchase of lift tickets for the 2018.19 winter season, buy now and save. Snow Summit - Save daily on advance purchase of lift tickets for the 2018.19 winter season, buy now and save. Snow Valley - Save daily on advance purchase of lift tickets for the 2018.19 winter season, buy now and save. Squaw Valley - Save daily on advance purchase of lift tickets for 2018.19. Tahoe Donner - Save daily on advance purchase of lift tickets for 2018.19. Arapahoe Basin - Save on lodging and rentals. Aspen Highlands - Buy lift tickets in advance and save for winter 2018.19. Aspen Mountain- Buy lift tickets in advance and save for winter 2018.19. Beaver Creek - Save up to 25% of lodging. Discounts on holidays now valid. Buttermilk Mountain- Buy lift tickets in advance and save for winter 2018.19. Crested Butte Mountain Resort - Summer 2018 promotions, save 25% on Adventure Park Tickets and on 20% on Summer lodging packages. Copper Mountain Resort - Members Save daily on advance purchase of lift tickets for the 2018.19 winter season. Echo Mountain - Save with night BOGO lift tickets valid Mondays - Thursdays for 2018.19 season. Daily savings up to $34. Hesperus Ski Area - Free Season Pass for 5th Graders and younger! Keystone Resort - Save on lodging and rentals. Monarch Mountain - Buy in advance and save on daily and multi day lift tickets for 2018.19. Powderhorn Resort & Bike Park - Save on bike park tickets half price summer 2018. Purgatory Resort - Free kids season pass. Save on daily lift tickets with advance purchase. Ski Cooper - Save on advance purchase discount tickets 2018.19. Ski Granby Ranch - Members Save up to 40% daily on advance purchase of lift tickets during 2018.19 ski and snowboard season. Snowmass- Buy lift tickets in advance and save for winter 2018.19. Steamboat Springs Ski Area - Save with big discounts on advance purchase of lift tickets during 2018.19 season now on sale. Buy in advance and save. Save on lodging and rentals. Sunlight Mountain Resort- Buy 2 lift tickets for as low as $40 each and lift ticket hot springs discounts packages available with savings over $100 for 2018.19 now live! Telluride Mountain Resort - Save on advance purchase of lift tickets for the 2018.19 season, must be purchased with lodging. Vail Resort - Save on lodging - up to 25% and rentals. Winter Park Resort - Members Save daily on advance purchase of lift tickets for winter 2018.19. Brundage Mountain Resort - Winter 2018.19 discounts are 2 for 1/BOGO adult full day lift tickets Sunday - Fridays all season non holidays. Lookout PassWinter 2018.19 enjoy savings with 2 full day tickets for only $60, Sunday - Fridays non holidays. Save up to $30 daily. Best price for powder anywhere. Silver Mountain - BOGO/2 for 1 Midweek Non holidays for 2018.19. Save up to $56 daily. Maine - Maine resort options with daily discounts for the 2017.18 ski and snowboard season.Winter 2017.18 offers are live and updated weekly. Sugarloaf Mountain - Buy in advance and save big on lift tickets daily for winter 2018.19. Sunday River - Members Save up to 50% off daily on advance purchase of lift tickets for winter 2018.19.Discount lodging options also available for winter 2018.19. Berkshire East - Members save with 2 for 1 midweek lift ticket discounts during the 2018.19 ski and snowboard season. Spring, summer and Fall save on BOGO Thunder Mountain Bike Park and aerial adventures. Additional discounts on zip lines and rafting now live. Bousquet Mountain - BOGO/2 for 1 lift ticket discounts for 2018.19 winter season valid midweek non holidays. Save up to $25 daily. Nashoba Valley - Lift ticket discount coupons for 2018.19, Save daily on midweek night lift tickets and snow tubing. Add additional any day lift tickets with Premium plus membership while supplies last! Boyne Highlands Resort - Members save daily on advance purchase of lift tickets during the 2018.19 ski and snowboard season.Buy in advance and save. Boyne Mountain Resort - Members save daily on advance purchase of lift tickets during the 2018.19 ski and snowboard season.Buy in advance and save. Treetops - Members Saved daily on advance purchase of lift tickets during last season look for new offers to be updated. Big Sky - Members save daily on advance purchase of lift tickets during the 2018.19 ski and snowboard season.Buy in advance and save. Lookout Pass - Winter 2018.19 enjoy savings with 2 full day tickets for only $60, Sunday - Fridays non holidays. Save up to $30 daily. Best price for powder anywhere. Whitefish Mountain Resort- $99 ski and stay includes lift and lodging for 2018.19.50% off Bike Park tickets summer 2018. Diamond Peak- Members Save daily up to 30% off on advance purchase of lift tickets for winter 2018.19. New Hampshire - The Granite state includes many resort options with daily discounts and 2 for 1 lift tickets for the 2018.19 ski and snowboard season. Winter 2018.19 offers are live and updated weekly. Black Mountain Ski Area - 2017.18 BOGO Midweek and save $10 weekends.Winter offers for 2018.19 TBA and will be very similar to past year. Bretton Woods - Members Save daily on advance purchase of lift tickets during 2018.19 winter season. Cranmore Mountain Resort - Members Save daily on advance purchase of lift tickets for winter 2018.19, buy in advance and save. Gunstock Mountain Resort - Members Saved daily on advance purchase of lift tickets during last season look for new offers to be updated. Mount Sunapee - Members Saved daily on advance purchase of lift tickets during last season look for new offers to be updated. 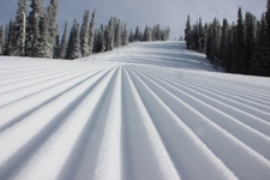 Pats Peak Ski Area - Save $5 off weekend lift tickets and more midweek! Additional offers available and 2018.19 discounts and savings coupons now online.Add additional any day lift tickets with Premium plus membership while supplies last! Waterville Valley- Save on lift tickets Winter 2018.19 on advance purchase of lift tickets. Angel Fire Resort - Save on lift tickets 2018.19 when purchasing in advance. Buy now and save. Pajarito Ski Area & Bike Park - Save 10% on bike park tickets and rentals summer 2018. Free Season Pass for 5th Graders and younger! Sipapu Ski Area - Free season pass for 5th graders and younger for 2018.19 winter season! Taos Ski Valley - Members Save daily on advance purchase of lift tickets during winter 2018.19 season. Greek Peak Mountain Resort - BOGO night tickets and half off bike park tickets. Mount Peter- Save $10 daily on adult full day lift tickets, non holidays during 2018.19 winter season. Plattekill Mountain - 2018.19 winter ski and snowboard season discounts are Half price lift tickets with purchase of one full price. Swain Resort - BOGO/2 for 1 midweek lift tickets discounts now live for 2018.19 - save up to $49 daily, and $10 off weekends. Premium plus option includes any day 2018.19 lift ticket(s) now available for only $35(up to a $59 value) while supplies last. 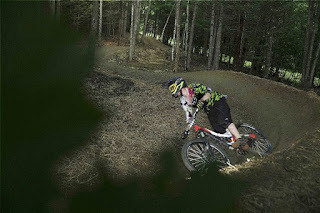 Windham Mountain - Save with BOGO/2 for 1 Windham Mountain Bike Park tickets summer fall 2018. Save up to $37 daily. Shawnee Mountain - Big lift ticket discounts; 2 for 1 midweek lift tickets, early season and save $10 on weekends during the 2018.19 ski and snowboard season. 2 for 1 Super Bowl Sunday as well. Save up to $55 daily!!! Add additional any day lift tickets with Premium plus membership while supplies last! Alta - Members Save daily on advance purchase of lift tickets for 2018.19, buy now and save. Snowbird Resort - Members Save daily on advance purchase of lift tickets for 2018.19, buy now and save. Solitude Resort - Members Save daily on advance purchase of lift tickets for 2018.19, buy now and save. Burke Mountain - Members save with BOGO/2 for 1 lift tickets Sundays - Fridays non holidays for the 2018.19 season. Save up to $73 daily. Add a lift ticket with premium plus while supplies last. Killington Resort - Members Save daily on advance purchase of lift tickets for winter 2018.19. Smugglers Notch Resort - Daily savings from $15 off to BOGO/2 for 1 lift tickets. Save up to $72 daily for 2018.19, Early season and spring BOGO coupons now live. Bryce Resort Bike Park - Daily savings on Bike Park tickets for summer 2018, save 50% off daily and one free day with new bike park offers!!! 49 Degrees North - Save $10 daily on Monday and Tuesday lift tickets, non holidays for winter 2017.18. Closed for winter season. Mt Spokane Ski & Snowboard Park - Save with BOGO/2 for 1 night tickets Wednesday through Friday nights winter 2018.19. Timberline Resort- Save on advance purchase of lift tickets daily on Adult and junior lift tickets for 2017.18.Closed for winter season. Grand Targhee Resort - Half off bike park tickets for summer 2018, save up to $19 daily. Members Save $10 daily on lift tickets during 2018.19. Various ski and stay packages discounted for members. Add additional any day lift tickets with Premium plus membership while supplies last! Jackson Hole - Members Save daily on advance purchase of lift tickets during winter 2018.19 and on lodging. Castle Mountain - Save with BOGO/2 for 1 midweek non holiday lift tickets for winter 2018.19. Lake Louise Ski Area - Members save daily on advance purchase of lift tickets during 2018.19 ski and snowboard season. Nakiska Ski Area - Members Saved daily on advance purchase of lift tickets during last season look for new offers to be updated. Ski Banff at Norquay - Members save daily on advance purchase of lift tickets during 2018.19 ski and snowboard season. Sunshine Village - Members save daily on advance purchase of lift tickets during 2018.19 ski and snowboard season. Fernie Mountain, BC - Members Saved daily on advance purchase of lift tickets during last season look for new offers to be updated. Kicking Horse Mountain Resort-Members Saved daily on advance purchase of lift tickets during last season look for new offers to be updated. Kimberly Alpine Resort - Members Saved daily on advance purchase of lift tickets during last season look for new offers to be updated. Mont Sutton - BOGO 2 for 1 lift tickets live for spring 2019! Not a Mountain Sports Club Member yet? Register now and save all winter with lift ticket discounts!Have questions? SALE UNDERWAY. Questions? Call us at 720.515.2711, or email us at info@mountainsportsclub.com. Welcome to our newest Mountain Sports Club sponsor The Heat Factory. New member/subscriber savings. Save 20% on all orders. Use promo code - MTSports when checking out to redeem discount and savings. Working hard to keep you warm in the mountains and outdoors. Heat Factory is the oldest and most recognized warmer brand in the outdoor industry. We offer top-notch product selections and unsurpassed quality. Warmers, gloves, mittens, hats, heated insoles, heated socks and more. Stay warm and enjoy the outdoors in any weather. Free shipping on orders over $75. Order now and stay warm.